We have had the car for a week and it is getting a lot of use - all by my wife for her commuting and seemingly endless errands. With the mostly fine weather, I'm using the scooter. We still haven't tried it out on any kind of expressway yet, so how well it does at higher speed is still unknown. The Smart electric drive is basic with no frills but does the job. I look forward to the OpenEVSE level 2 station DIY kit and 25 ft charging cord ($414 total) arriving. The level 1 portable station and its curly telephone-style cord is a pain. The OpenEVSE station is selectable up to 50 amps, the clothes dryer circuit I'm connecting it to is 30 amps (yeah, 2 appliances on a dryer circuit is not quite to code), but the Smart's maximum charging rate is only 3300 watts or only 14 amps. So I can probably charge the car and run the dryer after all. The vehicle-monitoring webpage has been down for a while (but up for all other MB models) with reports that service calls about it are not being returned. This sounds a bit ominous - is MB going to drop the Smart ED in the US? I joined plugshare.org a while back but getting a Chargepoint and Blink account has really driven home the degree that I sit in a public-charging desert. 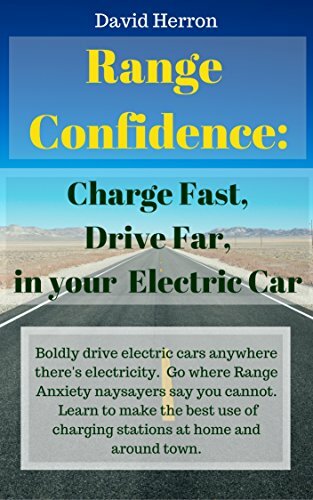 What public charging stations there are, are located in the middle of the city where it is not very useful as driving distances in the city are short - it is needed out in outer burbs and outlying towns where driving distances are greater. Nearly all the pins on the plugshare map outside the city are actually campground hookups. The odd thing about EV adoption is that I always thought it would follow political lines to some extent. I assumed that US AGW-denying conservatives tend to have an odd aversion to EV's (they do in my area) yet EV adoption in Republican places like Nashville, Knoxville, Atlanta, Dallas, and the like are way ahead of here in the solidly Democrat Rust-Belt - at least in the cities and rust-valley towns. EV adoption seems to be mostly a function of disposable income I guess. Although, the $1200 down and $84 a month deal I go would be affordable to someone with a pretty low income - the main problem would be access to home charging.